Give Donation Today-CHAB Schools, Siem Reap. DO WANT TO BE OUR FUNDRAISER? Sponsoring and participating in a fund-raiser even is an ideal way for you to demonstrate social responsibility. Thank you so much to our friends, sponsors and supporters for helping us raise funds support all vulnerable children at CHAB school and in community school. 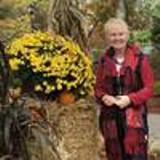 Eileen Forrestal is a professional coacher and motivation in Ireland. She produces the world’s best loved inspirational and transformational diaries and journals. She also holds an annual inspirational Get Up and Go Event in Sligo, Ireland, where invited speakers sharing their experience of ‘getting up and going’ in life and business. The supporter of CHAB's registration and website development. Eileen is the initiator of funds support for CHAB. Genevieve Fenster is the experience girl in fundraising for the project CHAB schools in Siem Reap, Cambodia. She lives in the USA and is the fundraiser and Fund Coordinator with other donors or sponsors. She manages the GoFundMe page to raise funds for helping and saving vulnerable children at CHAB. Check this page out please!!! The organizer & online fundraiser for the CHAB kids Siem Reap project. Linda Fenster is the supporter of school supplies for the Project CHAB Shools Siem Reap, Cambodia and skill in Art: Mosaic, Collage Bead Work, Painting & Drawing. She always sends school supplies and clothing every 6 months for all vulnerable children at CHAB schools. The supporter of school materials & online fundraiser for the CHAB kids Siem Reap project. Paul McEvoy is the professor &Seta McEvoy is the doctor and Paul McEvoy married to Seta. They are from England and live in Newry. Paul is & Seta McEvoy are the fundraisers and fund coordinators with donors or sponsors in Engliand. They have a commitment and effort to raise funds for helping and saving all vulnerable children at CHAB schools based rural communties in Siem Reap, Cambodia. They are the best friend of CHAB and raising funds to make a difference all vulnerable children at CHAB. The fund raisers to support the Schools both at CHAB School and in community. Danny, Eva and Sophie McEvoy are the nieces & nephew of Paul & Seta. They are the students and have a very preciated commitment and effort to help raise funds to support all vulnerable children at CHAB schools based in rural communities. They are the lovely boy and girls who volunteered and taught the students at CHAB schools. They are motivated to work on fundraising to help all vulnerable students at CHAB schools. They are the best friends of CHAB and commit to help raising funds to supoort all vulnerable children at CHAB. The fund raiser to support the Schools both at CHAB School and in community.